We just love So Sew Easy’s patterns here at DIY Crush! The designer Deby offers a great variety of patterns for ladies and their needs for having just the right bag or purse for every day. 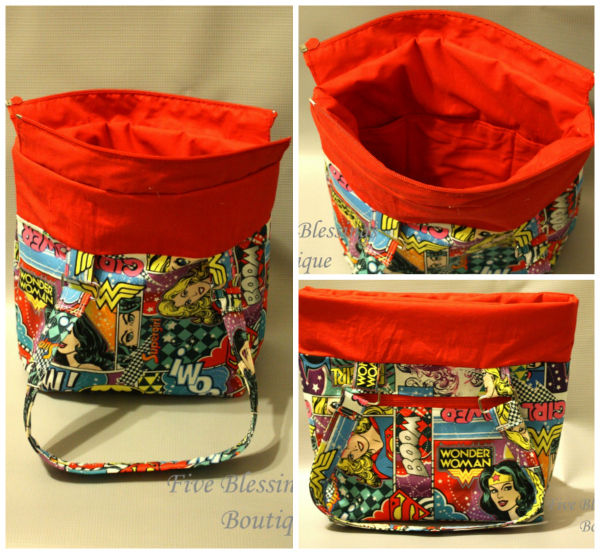 Today’s review is the Lucy Tote Bag sewing pattern and Lore of Blessed x Five had the pleasure to sew this one up for you! Ready? Click below. BTW, you can get Wonder Woman fabric from the Fat Quarter Shop! Enough from us, head over to Lore’s blog and read all about the ‘Lucy Tote Bag’ from So Sew Easy! Ready to make one for yourself?? Head to the pattern listing and download it for only $5.00! !